The new BLUE BOOK Pay-Per-Call network rankings have generated a big response. It is clear that many advertisers are still to adopt pay-per-call and that it can be an intimidating area for a lot of publishers. The CEO of our #1 network Aragon Advertising is Todd Stearn. We sat down with him this week to get the low-down on how to get started with pay-per-call, what kind of resources are needed, and the huge opportunities that are available. BLUE BOOK: Pay-per-call is still new to many advertisers. What are the main reasons they should be adopting pay-per-call? What kind of a difference can it make to the success of a typical campaign? Todd Stearn: The focus for advertisers should be on high-intent prospects, i.e. potential customers who have done their research and are ready to buy. For these people, the ideal way to close the deal is to have one of your sales team actually speak to them. The best way to do that is to get them on the phone – that’s why pay-per-call works so well. Even better, you can reach high-intent customers through channels that won’t gobble up your current media spend. You can buy call-only ads on AdWords that are much more effective than cost-per-click traffic for capturing high-intent searchers on mobile. With pay-per-call, you can also effectively leverage more traditional media such as TV, radio, and print which can provide significantly more volume. BB: Are pay-per-call networks just the same as CPA networks? Are they just a more-narrowly focused subset? TS: Pay-per-call networks are a different breed than CPA networks. Few companies do both (although I will take the opportunity to mention that Aragon is one of them). The reason is that it takes a different mindset to manage a pay-per-call campaign for a host of reasons, most notably that everything in a pay-per-call campaign happens in real time. Just take call flow management as an example: you have to think about how many agents are available to answer the phone at any given time, or, almost as important, are there too many agents sitting idle? Managing call flow is a full-time job and if you mess it up you’ll have unhappy partners. A good pay-per-call network needs expertise in a lot of different areas. 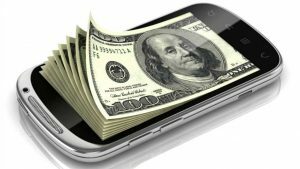 BB: Is pay-per-call primarily a lead-gen solution? Or is it more than that? TS: It’s primarily a lead-gen solution for now. I think this will change as pay-per-call matures and as technologies improve. We are already seeing different business models emerge as campaigns generate more data. Several of our clients pay commission at the point of sale, and many of our high-quality affiliates make more money via cost-per-sale commissions than on a cost-per-duration model. BB: What kinds of advertisers should be thinking about incorporating pay-per-call into their conversion funnels? Are there certain verticals for which pay-per-call is a must-do, and other for which it has only marginal utility? TS: Every lead generation advertiser should be thinking about pay-per-call. They’ve already got the call center dialing out so it’s a low-cost pivot to begin fielding inbound calls as well. In addition, they can increase margins by upselling comparable services with a warm transfer campaign. If you look at our own clients, the top verticals are in the insurance, finance, home services, and health and medical categories. That said, I think it’s basically a no-brainer for any lead-gen advertiser to adopt pay-per-call. It’s low-risk and high reward. What’s not to love? BB: What should an advertiser new to pay-per-call look for when considering a network partner? What are the critical differentiators? TS: I’d look at their technology and their QA process. Any network that doesn’t have built-in concurrency capping available or doesn’t optimize towards an advertiser’s CPA goals isn’t going to be prepared to scale up your business. A good pay-per-call network needs to be able to assure the compliancy of the traffic they’re delivering. This means above all else avoid creating liability for your clients. Offshore call centers are not bound by US law and are more likely to take liberties that put everyone in the chain at risk. A good network will also ensure that any lead source they work with is TCPA compliant. BB: From an advertiser perspective, how much internal resource needs to be devoted to supporting a pay-per-call initiative? Do they need a full call center? What else? TS: They’ll need people to answer phones, though that doesn’t necessarily mean a call center. Many companies have work-from-home call center agents scattered across the country and that approach can work really well. Any pay-per-call operation also needs a good technology stack. One of the best-known and well-regarded contact center software companies is Five9, for example. Then call tracking and reporting software such as Invoca will make it easy to manage pay-per-call marketing campaigns across Google, Facebook, and affiliate channels. It’s not a huge amount of resources if you’re smart about it, and your network partner should be able to help with guidance. BB: What about publishers? How should they approach pay-per-call? Do they need a certain type of traffic or be working within a certain vertical? TS: Experienced search publishers who haven’t tried call-only ads need to give this a try. Seriously. All they need is a simple landing page because the user doesn’t even see it. They click an ad on Google and immediately initiate a phone call. We also see a lot of affiliates focus on Facebook Lead Ads. By generating a lead from Facebook and funneling them directly into a lead-to-call automation sequence, affiliates have been able to snag high volume traffic at relatively low cost. When it comes to verticals for traffic sources there are some clear differences in terms of what to promote and where, but that basically comes down to intent vs. interest. As an illustration, on AdWords you might reach someone who is looking for a new auto insurance policy, whereas on Facebook, you are more likely to reach someone who is interested to know more about why they should change their auto insurance provider every 6-12 months. But this difference between Google and Facebook is already known by most publishers. Pay-per-call isn’t different in that regard, it’s just a different way to convert people that often gives much higher returns. BB: What are the technical challenges for a publisher? Do they need to worry about that when choosing a network? TS: Publishers don’t need their own call tracking platform but they can increase ROI if they adopt the technology. By handling their own call routing, publishers can deliver calls to multiple networks and automatically optimize call flow to the network with the highest EPC. Platforms currently available will allow the publisher to benefit as their network partners tweak their buyer base, concurrency caps, payouts, etc. When choosing a network, publishers should go with one that understands their buyers and has enough data to be confident in how many calls they can buy on a daily, weekly, and concurrent basis. I believe networks need to really take care of their publishers’ traffic – the worst thing a network can do to a publisher is drop their calls because they don’t have a large enough available agent pool to answer phones. BB: Aragon Advertising is our #1 ranked pay-per-call network. You’re clearly doing something right – what do you think it is? TS: We have a good fundamental understanding of pay-per-call, we understand our strengths and weaknesses, our buyer base is very comfortable with our quality assurance procedures, and we do more than anyone else to avoid call-dropping. Pay-per-call is incredibly dynamic and we are deep in the data, in real-time, making decisions that keep our advertisers and publishers happy and ROI positive. Aragon was founded in 2012 in New York by myself and my partner Jason Kilby. We both worked for one of the largest affiliate networks, Epic Advertising, before they shut their doors. The lessons from the good times and the bad at Epic helped shape us into responsible and ambitious partners at Aragon. Our goal is to deliver quality traffic, industry-high EPCs, and data-driven insights to our clients and publishers to help them build and maintain the most successful ad campaigns. BB: What is the future of pay-per-call? Where will the industry be in five years time? TS: It is still early days for pay-per-call. I think most people would agree that there is still a huge amount of growth ahead. Smart advertisers will move budgets to buying inbound calls rather than web leads simply because the ROI is better. It’s a competitive advantage for the early adopters. Over time, the business models of paying for calls will evolve from cost-per-duration (which is the current standard) to include more qualified-lead and cost-per-sale models. There are also new markets that will open up to pay-per-call marketing and voice-centered computers like the Amazon Echo devices will mean that pay-per-call opportunities can reach more people, more of the time. I don’t see a limit to the opportunities – this is a great time for any advertiser or publisher to get on board. Looking to start working with the #1 Pay Per Call network in 2018? Aragon Advertising’s six years in the affiliate marketing space prove that they know how to get things done. With their industry knowledge and 80+ pay per call offers, Aragon will provide all the tools you need to run successful campaigns and earn more with Pay Per Call. Visit www.aragon-advertising.com and start earning today!